SCAG offers a complete line of highly productive and reliable mower and debris management accessories for the landscape professional and the homeowner. When nothing less than the best will do, look no further than SCAG. All of our accessories are designed, tested and manufactured to work perfectly with our mowers or debris management equipment. All needed components, instructions, and hardware are included with each accessory. We have posted just the most popular accessories below. For a complete list click HERE. The patented Scag Tiger Striper Lawn Striping System is the ultimate way to enhance the striping ability of your Scag Turf Tiger, Cheetah (48"-52" or 61"-72") , Wildcat, Tiger Cub, Tiger Cat, Z-Cat, Freedom Z, Freedom Z Pro or Liberty Z*. This lawn striper has unique features that allow you to turn the stripe on and off, and remove the entire roller system without tools by pulling two "quick pins". It is spring-loaded so it applies downward pressure onto the grass. This further enhances the stripe and allows the roller to contour to uneven terrain better than standard fixed rollers, even at high mowing and transport speeds. Click HERE to learn more.. The unique Hurricane Mulch System employs "Eye of the Hurricane" mulching plates combined with bolt-in v-baffles and flow directors. Eliminator blades, a side discharge close-off plate and hardware complete the system. The result is the best performing, most productive mulching system available for commercial mowers! Because the cutting chambers are not completely separated, grass clippings travel between the chambers for high-velocity mulching. Click HERE to learn more. The Scag Fabric 2-Bag Collection System allows you to quickly and conveniently collect grass clippings and leaves, delivering a picture-perfect, groomed lawn on all Scag Liberty Z, Freedom Z, Freedom Z Pro and Patriot mowers. With a 7-bushel capacity and an 8" discharge tube, this is a serious debris catching system. Click HERE to learn more. SCAG cutter decks are designed to provide the best quality-of-cut in the industry. However, varying conditions may require the use of different cutter blades to achieve optimal results. We offer Low-Lift blades (dry conditions), Sand Blades (sandy soil areas), Standard -Left blades (normal cutting conditions), High-Lift blades (wet conditions) and Eliminator Mulching blades (for use with mulching plate). Remember, only Genuine SCAG Parts are guaranteed to work in harmony with your SCAG mower to ensure consistent, top-quality performance. SCAG's high-strength cutter blades feature the SCAG logo stamped onto the blade itself. Don't settle for cheap substitutes. Click HERE to learn more. Mow into the evening with SCAG light kits! The LED light kit comes with all the necessary mounting brackets and wiring harnesses for a top-quality installation. 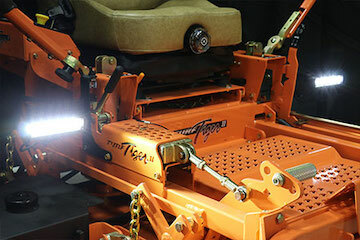 The lights are mounted towards the center of the mower, providing properly aimed light when turning and their location keeps them well protected from branches and other debris. The LED light kit fits 2002 through current SVRII, SZL, SFZ, SPZ, STTII model mowers. Also available for select older models. The halogen kit comes with all the necessary mounting brackets and wiring harnesses for a top-quality installation. Two super bright halogen lights deliver 38 watts each for a total of 76 watts of lighting power (Cheetah, Freedom Z, Freedom Z Pro and Liberty Z have a 100 total watt light system). There is a 100 watt system (two 50 watt Halogen lights) for Cheetah (48", 52", 61", 72"), Freedom Z, Freedom Z Pro and Liberty Z and a 76 watt system (two 50 watt Halogen lights) for Turf Tiger and Tiger Cat. Click HERE to learn more. 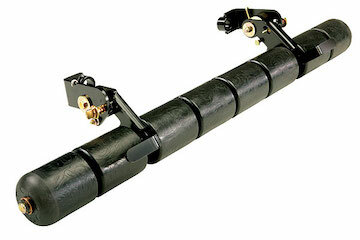 HITCHES - Use your SCAG mower to tow attachments or a cart to haul debris. 250 lb. limit. Available for all models in all sizes with the exception of 36” models. 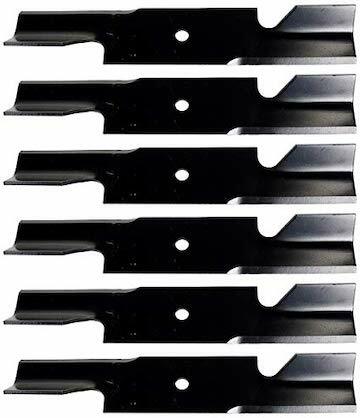 MULCH PLATES - Discharge opening block-off plates for all 48" & 52" Cutter Decks.